Come Sew With Me at the Sew Sweetness Retreat in Chicago! Today I am super excited to share the news that I will be a guest teacher at Sew Sweetness Retreats with Sara Lawson! 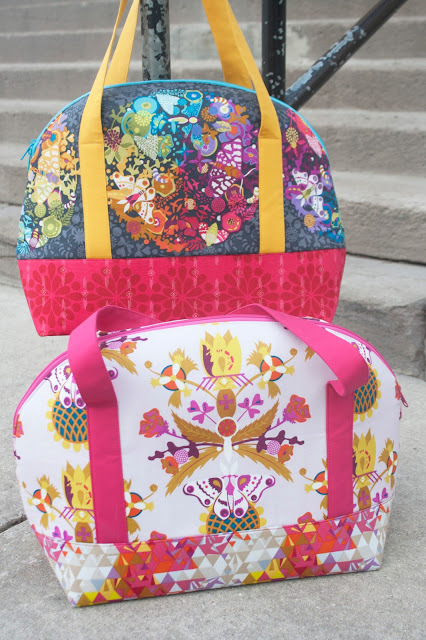 Sara started her Sew Sweetness Retreats last June in Chicago. The class size is limited to 23 fun loving sewing enthusiasts ready to create a variety of projects! Every retreat has two classes, one is bag making with Sara and the other is a guest teacher that shares something else. 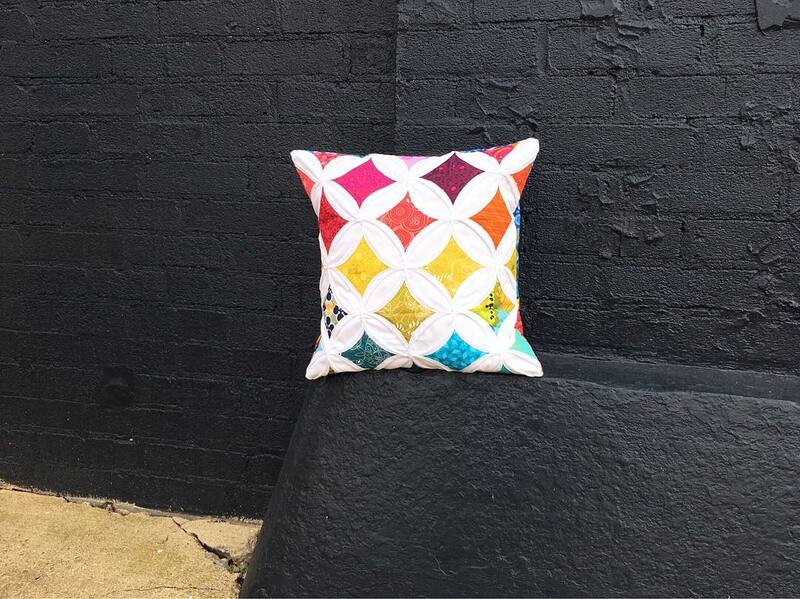 In June, I will be teaching you how to make a Cathedral Window Cushion Cover. Cathedral windows are not terribly difficult but always look stunning! Sara will be teaching her Sew Sweetness Aeroplane Bag. The Aeroplane Bag is the traveler's best friend! It holds everything you need plus a little bit more! A few years ago I made my version of the Aeroplane Bag and included Cathedral Windows and an external pocket. The fabrics in the windows were Liberty of London. 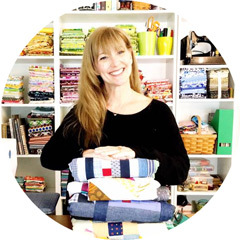 So if you are ready to PARTY HARD...and by PARTY HARD I mean sew with me and Sara...hop over to her site and sign up for her newsletter to be the first in line to get your ticket to this FABULOUS event! Purchase your ticket now by visiting Sew Sweetness Retreats.